Set up CrowdTangle Lists related to your community or topics you’re covering across Facebook, Twitter, Instagram and Reddit, so you never miss a post. These could be lists for local businesses, hospitals, first responders, politicians, government agencies, colleges and universities, local sports teams etc. Pro tip: use our embed tool to optimize your stories with relevant posts. 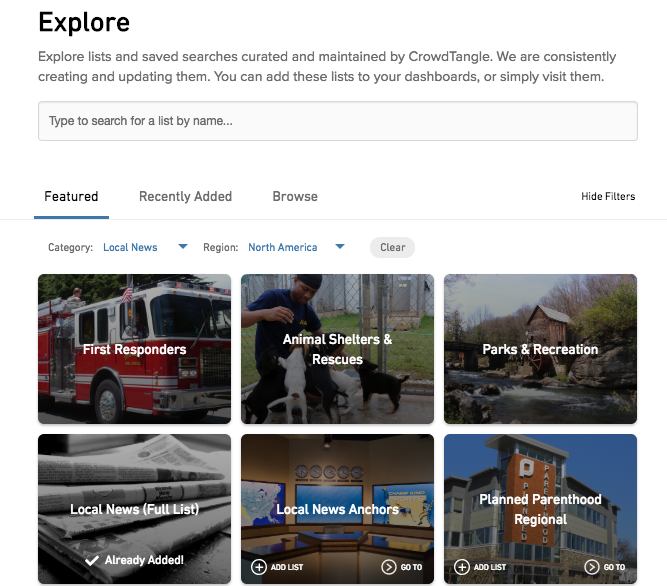 Discover pre-built lists in our Explore section around the local beats and issues your newsroom covers. You can find state lists for government agencies, animal shelters, colleges, and more. You can also search through thousands of lists we've already created based on interests, locations and sources. Pro tip: check out our ‘community groups’ lists to see if we already built a list specific to your town. Create Saved Searches around topics you’re covering, like neighborhoods or reporter beats to surface content across Facebook, Twitter, Instagram and Reddit mentioning those keywords. Pro tip: click “More Search Options” to apply additional filters so your results are tailored to exactly what you’re looking for. 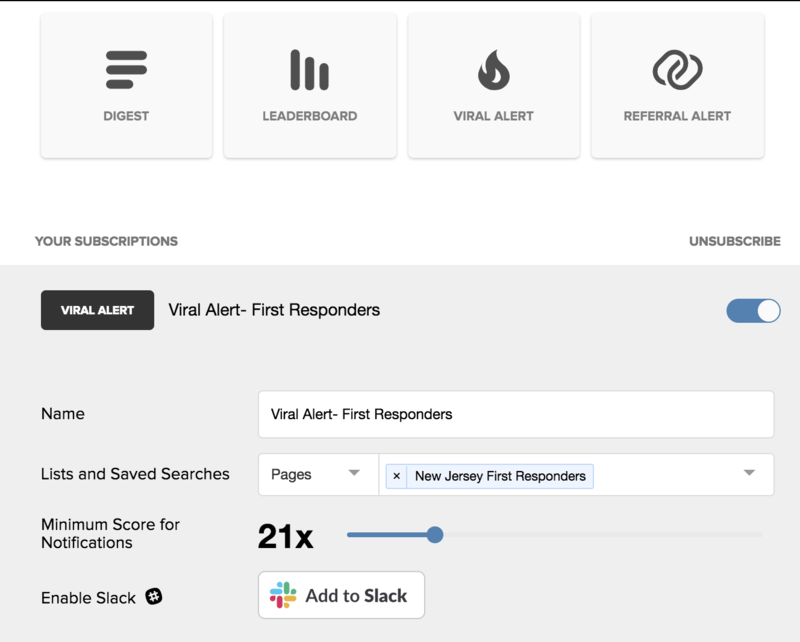 Subscribe to Viral Alert notifications and CrowdTangle will deliver posts to you. Alerts can be synced via your email and/or Slack channels. Also sign up for Digest notifications to get a collection of the top performing posts from your the lists and searches related to your beat. Search through Facebook Groups and Reddit threads to surface conversations around issues and events you cover, like a neighborhood council meeting, local sports team, upcoming rally or more. Analyze longer term social data on source's accounts and posts that can be cited in reporting using CrowdTangle's Intelligence and Historical features. Ideas include, stories about the top posts for any account or stories comparing account data for influencers and important figures.